You don’t know what you miss if you have never owned a Himalayan Salt Lamps. It’s as if you had an open window, a natural source of fresh, healthy air right there, on your desk, in your living room, next to the bed or anywhere you choose to install it. All matter (human body, air, water, etc.) consists of molecules that consist of atoms composed of three types of particles: protons (positive charge), electrons (negative charge) and neutrons (no charge). The electrons or bit their molecules as the planets revolve around a star. Sometimes an electron takes flight and when it flies away, it leaves behind a positively charged ion whose sole purpose is to fill the void left by its lost little electron. In other words: he wants to steal a replacement electron from another molecule. Due to differences in the molecular structure, some materials lose electrons much more easily than others. This is the best-known benefit of Himalayan Salt Lamps, and that is why most people use them. 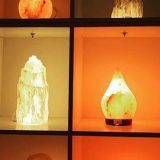 These Salt Lamps have the incredible power of eliminating dust, pollen, cigarette smoke and other contaminants from the air. 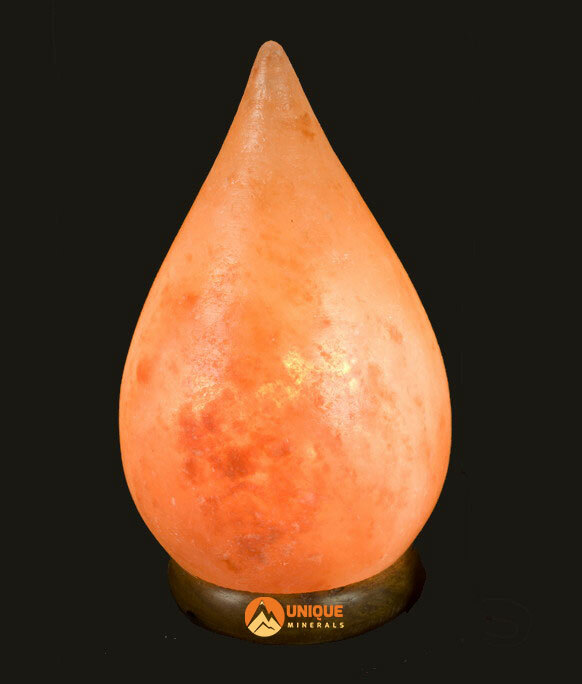 Himalayan Salt Lamps purify the air by the power of hygroscope, which means that they attract water molecules from the surrounding environment and then absorb these molecules (as well as any foreign particles they can carry) in the salt crystal. When the lamp heats up from the heat produced by the bulb inside, this same water evaporates back into the air and trapped particles of dust, pollen, smoke, etc. stay locked in salt! It’s not a miracle, just chemistry. 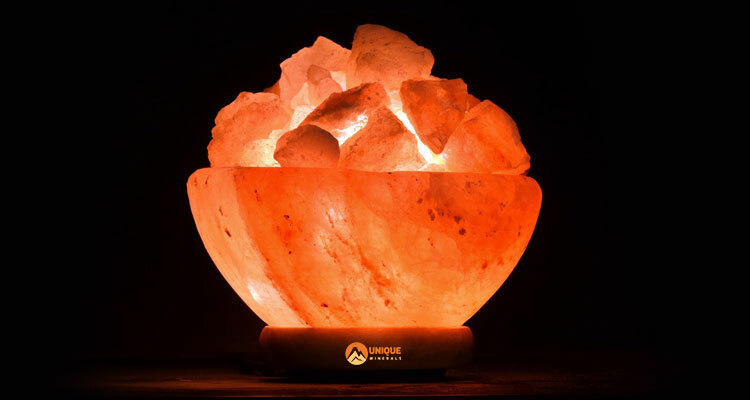 Because Himalayan Salt Lamps remove microscopic particles of dust, pet dander, mildew and other ambient air, place one or two lamps in rooms where you spend the most time can seriously reduce the symptoms of allergy. Even people with asthma should notice a big difference after a week or two. 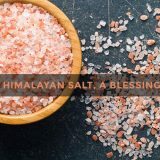 In fact, the pink salt of the Himalayas is so good for your airways that there are even Himalayan Salt Inhalers! 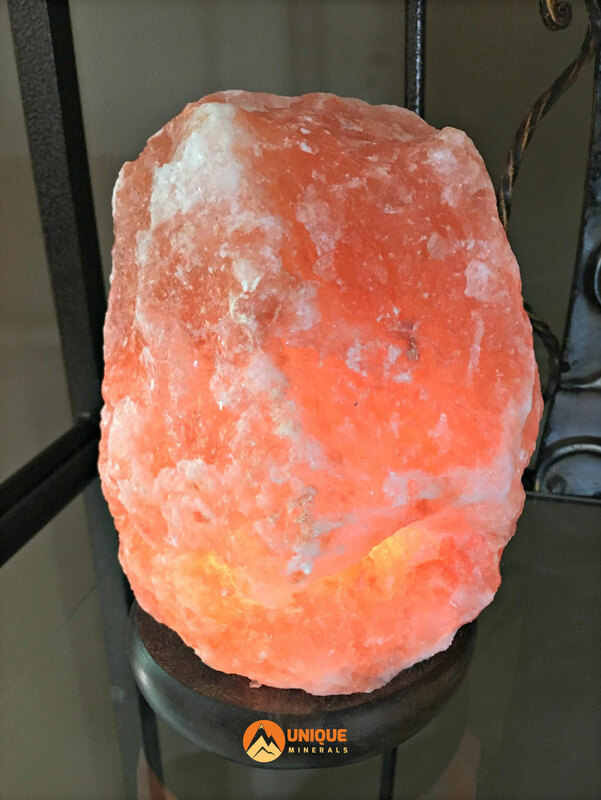 When the Himalayan Salt Lamp heats up and begins its hygroscopic cycle, it also changes the charge of the molecules that are released. Most homes are filled with positively charged ions that are not particularly good for your health. Positive ions are created by a number of things, but the primary source for most of us comes from our electronics, ubiquitous in most homes. One of the health disadvantages of inhaling a lot of positive ions is that the eyelashes (those microscopic hairs that are found all over the body, not just under the eyes) that line the trachea become lethargic and do not work as well. well to prevent contaminants from entering our lungs. As a Pink Himalayan Salt Lamps absorbs water and particles from the air, it also takes positive ions as it passes. Then, heated salt releases the cleaned water vapor into the air, it also expels the negative ions that have the opposite effect on our airways, which increases the ciliary activity to keep your lungs clear. In short, in addition to removing contaminants from the air, the Himalayan Pink Salt Lamps also help your body filter the air more efficiently so foreign particles you breathe do not reach your lungs. Taking a drive through the countryside with the windows down, spending time at the beach or camping in the mountains, or just taking a shower in the morning are so many things that many people find invigorating. 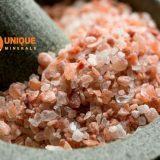 It is no coincidence that all these activities expose us to increased concentrations of negative ions such as those generated by Himalayan Salt Lamps. The fact is that the positive ions sap our energy while the negative ions, rather associated with nature (natural cascades, mountains), boost our energy and soothe us. If you feel constantly tired and do not know why, try placing a Himalayan Salt Lamps in the room or rooms where you spend the most time. After a week, you must notice a difference. Today, most of us live in a metaphorical ocean of electromagnetic radiation that flows from our electronics (television, computer, phone, tablet, appliances, etc). Although they may be invisible, the long-term effects of exposure to electromagnetic radiation can be very serious. Constant exposure is known to increase stress levels, cause chronic fatigue, and decrease the body’s immune response, among others. 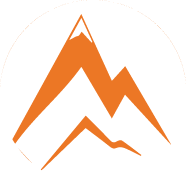 As they emit negative ions into the air, Himalayan Salt Lamps are very useful for neutralizing them. Place a lamp next to the computer, TV and any other electrical appliance you use frequently to reduce the potential danger to you and your family. 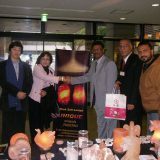 The Pink Salt Lamps are natural negative ion generators, so they can help reverse the problem. Put one or two in your room to improve the air quality so that you can have a better night’s sleep. Remember that even though you are like me and you cannot sleep unless the room is totally dark, you can always turn off the lamp at bedtime. Just leave it on for the rest of the day so she can do her work while you are awake. People living in humid climates need to know that Salt Lamps tend to sink a bit when the salt gets cold. You will certainly need to protect the surfaces by placing a saucer underneath and be sure to follow the use and maintenance instructions that are included with your lamp! Himalayan Salt Lamps are a great way to naturally improve your mood or help you relax at the end of the day. They are also perfect for improving concentration if you work from home. Again, this is due to the effect of our negative ions, improving the supply of blood and oxygen to the brain and other organs, as well as the stimulation of serotonin: the neurotransmitter that makes us (literally) happy. 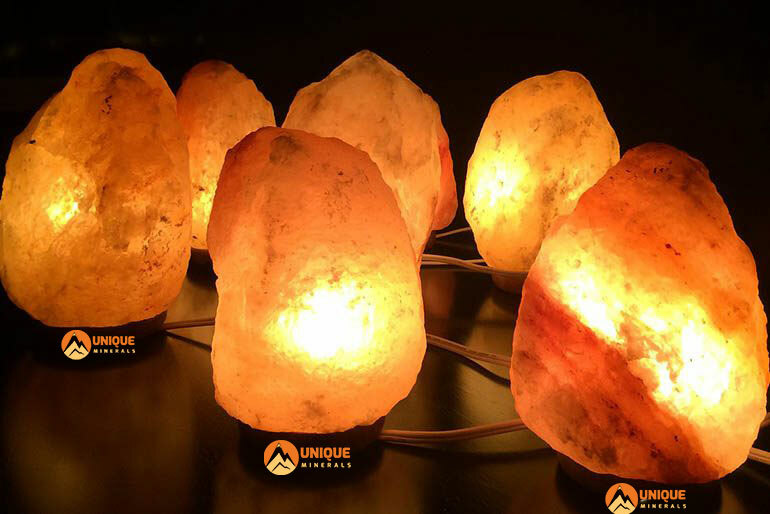 The fact is that static electricity can be really annoying and that Salt Lamps are a natural way of neutralizing the airborne ionized particles that cause them. Last but not least, the Himalayan Salt Lamps are environmentally friendly. Although this is only an estimate, the reserves from which the salt is extracted are between 80 and 600 million tones and are expected to last at least 350 years at the current extraction rate. The base of a lamp is usually carved in a durable wood such as neem. Some lamps use a low power bulb that consumes very little energy while others are powered by a burning candle.